Every CPG business wants to win in the market. They all want the competitive advantage. Many of them break into the market with a bang, but are unable to sustain their competitive advantage, and go out with a fizzle. 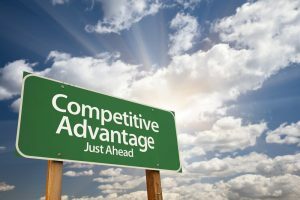 The real challenge is not to just gain the competitive advantage, but to sustain the competitive advantage. The market for the CPG business is complexed with strict rules. Many of which are determined by the harsh realities of the retail environment. Many are determined by the way your CPG product gets to the market and stays on the retail shelf. We know because we faced and overcame this challenge building the famous Barefoot Wine brand. The lessons we learned were counterintuitive from a customer’s perspective who views the market as a clean, always stocked, abundant display of all the choices possible. On the shelves, and behind the shelves, there’s a battle going on! It’s a battle for the competitive advantage. Every CPG company is constantly jockeying and competing for shelf space. They are constantly negotiating with their distributors. They are constantly altering their consumer cost ever so slightly to get your attention. These companies are constantly inundating you with messaging designed to give them the competitive advantage. When you see a branded product on the shelf in a retail store, it has gone through the wars to get to you. There are simply too many products in a limited space! Not only are we seeing the consolidation of retail companies, but we are also seeing the consolidation of distribution companies. A new CPG company may be forced to sell exclusively online, direct to the customer. It’s not so much that they are choosing the online market. It’s more like the retail market have been them shut out. With online sales growing fast, we hear the press announce “the death of retail.” Yet, according to the Department of Commerce, online sales still only represent 10% of the retail market. Ninety-percent is still sold in bricks-and-mortar stores and for good reason. Online sales are a race to the bottom price-wise. They do not allow tactile comparison with other like products. They do not allow for impulse or notion buys. And they require delivery direct to customers. With bricks-and-mortar retail sales, the customer picks up many items in one trip, the customer “discovers” new products they weren’t shopping for (like yours), and the CPG company receives one big check from one big chain for one big order distributed to hundreds of outlets. In other words, the bricks-and-mortar retail market is still the best place to build a branded CPG product. There are many battlefields in the ongoing war for the competitive advantage at retail. From the customer’s standpoint, the most obvious example is their cost to purchase the product. But there’s far more going on behind the scenes. 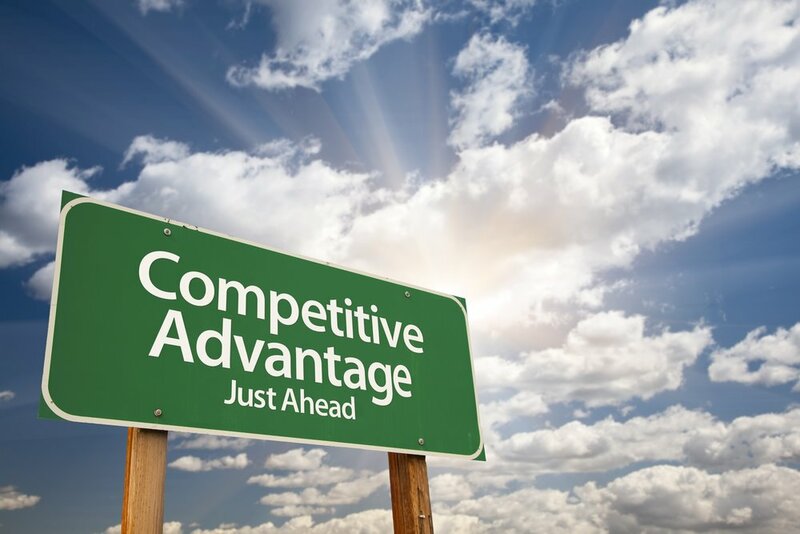 A successful competitive strategy has to win on all battlefronts daily to maintain a sustainable competitive advantage. 1. Image. How does your product look to the customer? The retail environment is unforgiving. The lighting is overhead, not backlit like you might see products on the screen. It’s also usually the cheapest form of lighting which gives everything a blue hue. The shelves themselves prevent the light from getting to the products that are not in front. They can easily be lost in the shadows. Your brand name must be readable, recognizable, meaningful, and memorable. It’s how your customer will find your product the next time they shop. Did you make it easy for them? Are your choice of fonts easy to read from 4 feet away even when they are less than 1/2 inch high? Did you leave lots of white space on your label to improve the visibility of your name? The company whose consumer brand names are clearly visible from 4 feet away has a competitive advantage. Your brand name, contents, and logo, with the necessary legal requirements, must all fit neatly on your label. Most CPG labels are under 3″ x 3″. Like your name, your logo must also be clear, crisp, and recognizable. It’s what your customer is looking for. The simplest logos with the most white space around them have the competitive advantage. Your package must distinguish itself either in shape, size, or color. It must pop out from the myriad of other products competing for your customers’ attention. Unique package designs with advancing colors have the competitive advantage. We found, surprisingly, that consumers prefer products in taller packages over shorter, stubby packages, even when the shorter package contained more product! Height matters. When it comes to retail packaging design, if you don’t pop it, they will drop it! 2. Value. Is your product worth the money? Products that consistently overdeliver on value have the competitive advantage. Customers are always looking for value for their money. Value can come in many ways but they all feed in to the customers’ perception of value. Does your branded CPG product deliver higher quality, more quantity, or solve an unsatisfied need? Your customer is looking for dependability. Does your product perform the same way it did the last time they bought it? Can they rely on it? Many customers will pay more to achieve consistent quality. For them, it’s not so much the cost, it’s the confidence they have in your brand. They don’t really want to shop for another brand. That creates anxiety. Will the new brand meet their expectations? Will they be disappointed? And will they have to go out and try yet another brand before they find dependable value? CPG companies who satisfy or exceed the customers’ expectations have the competitive advantage. We’ve seen brands go through acquisitions where the new company decided to save money by reducing the quality or changing the product to fit into their existing range of products. We’ve seen acquiring companies wreck perfectly good brands by enforcing corporate standardization and removing quality queues from their labels. And we’ve seen marketing people in those companies attempting to make their career mark by trying to “fix” brands that “ain’t broke”. Result? They lost the competitive advantage. 3. Price. What does your product cost? Within every category of products in the retail market is the price at which the majority of products in that category sell. This is the velocity price point. The volume of sales is directly related to the velocity price point. The higher your price, the lower the volume. Interestingly, prices lower than the velocity price point may not necessarily guarantee increased volume. This is because they are perceived by the customer to be lower in quality. Price is the most obvious factor in sales. Your customer wants to know what the price is before they even know what the benefits are. For each category, the customer already has a preconceived idea of what the price should be for items in that category. The customer assumes that higher prices in the category are higher quality and lower prices imply lower quality. This is why it is so difficult to give the customer a good deal. For instance, we were selling gold medal-winning product at the velocity price point. But it took years to convince the customers that we were over delivering quality for the price. The cost to the consumer is after the retailers have taken their margin. It is after the distributors have taken their margin, and after all the taxes, fees, and freight. CPG companies that have and hold the competitive advantage understand how to price backwards from the shelf and account for all these costs to offer an FOB that leaves no money on the table. Companies that understand what profit the retailer has to see on sale will make sure that their distributors provide those retailers with a cost that enables those retail prices. Companies that understand the “Rule of 99” appreciate the retailers $.99 pricing policies. For instance, the retailer understands that many customers perceive a price of $3.99 as a dollar less than $4.00, when it is in fact, only one cent less! So the retailer sets the price so the last numbers end in 99. Some retailers like 98 or 97, some even like 88. But the point is that companies that set their FOB’s to allow the retailer no more than the margin the retailer is looking for at the shelf price ending in $.99, will leave no “money on the table” and have the competitive advantage. Alternating the shelf price gets the customers attention. CPG companies that submit price programming to chain stores at least six months in advance have the competitive advantage. Periodic temporary price reductions (TPR’s) toggle the price up and down by a small dollar amount throughout the year. The most successful price programming strategies incorporate seasonal-selling themed materials for floor displays. Companies that achieve floor displays always have the competitive advantage in the retail business. 4. Position. What shelf are you on? In most businesses, positioning is controlled mostly by price point. Your customer is comparing your price to the price of other offerings within your category. They are making a judgment about your quality based on your price. Being able to communicate high value at lower price points gives you an important competitive advantage. In the retail business, shelf placement is king! A CPG company that achieves eye level and left side placement in their category enjoys a decided competitive advantage. Consumer brands fight over this position because they know that this is where the highest volume is sold. The retailers know this as well and generally reserve this space for their hottest selling items. In other words, you have to earn the eye level shelf positions. Retail stores usually relegate newer brands to the bottom shelf. This is why it is so difficult to become a hot seller when you are new – because nobody looks down! We faced this problem at Barefoot. But we overcame it with decal footprints applied to the floor which walked our customer to our location on the bottom shelf. The good news is that more product sells off the floor (from displays) than off the shelf anyway. So when you’re new, it’s always better to negotiate floor displays so you will be discovered. A company whose brands achieve displays, especially end-aisle displays, will always have the competitive advantage. They are big, bright, attention-getting, with some kind of a price reduction, and are presented with colorful merchandising materials. This coveted billboard effect is worth fighting for when it comes to building your brand in retail. There may be further subdivisions within the product categories depending on the type of product. In our case, we noticed that within our category (wine), larger sized, 1.5L magnums were organized by brand in most of the stores. The stores grouped smaller sized 750 ml by type, or in our case, by varietal. We knew it would be hard to get any kind of a billboard effect if our brand was blasted about in a retail set organized by type. So, we chose to enter the market exclusively in the 1.5L magnum size. Our different types were side-by-side giving us a mini billboard effect. This choice gave us a competitive advantage over other startups in our category who introduced their brand in the smaller sizes. 5. Distribution. Where are you? In the CPG business, your brand equity is based largely on your distribution. The more distribution you have, the more valuable your brand. A CPG company with wide distribution has the competitive advantage. Their reputation precedes them. Retailers want to carry and promote their products, giving them special allowances, special promotions, and special pricing. Retailers know they are in demand and therefore will draw customers into their stores. National distribution is a goal for most CPG businesses, but it can take years to attain. It requires constantly competing against bigger brands that already have national distribution. The costs of gaining and maintaining national distribution are staggering. And most independent CPG brand builders often overlook these costs. They know the cost of goods, but do they know the cost of sales? Part of the cost of sales is keeping your branded product in stock at retail. As you expand your business into new territories, this cost increases dramatically. In our case, starting out we were surprised how much of what we thought was the distributor’s or retailer’s job, we had to do. If we didn’t do it, it simply didn’t get done. That was a big portion of our cost of sales. This job included watching inventories and preventing out-of-stocks by getting reorders before the retailers would run out, policing the pricing to make sure it was correct, inspecting the shelves to make sure there was adequate stock and it was properly priced, making most of the new sales for our distributors’ salespeople, and installing up-to-date marketing materials. And this is just listing a few. Our hands-on approach to merchandising gave us a big competitive advantage over other brands who thought their distributor would do it or that the retailer would do it. We realized early and often that we needed a brand representative in every territory into which we expanded. Our representative did sales, provided constant vigilance, and got in there and did the job no one else was doing. This was an expensive realization and significantly hurt our margins but was an absolutely necessary part of distribution management. Having a representative who could perform in-store demonstrations, immediately replace spoils, and quickly address distribution glitches gave us another big advantage in the market. Stand for a worthy cause that’s important to your customers. Your support will give them a social reason to buy your product. This is much stronger than any mercantile reason. It not only creates customer loyalty, but it creates customer advocates. Disrupt your industry by redefining the market and satisfying a heretofore unrecognized need. Dominate a single offering in a crowded category. Elevate your salespeople and your customer service people within your own organization. They are the only people in your company talking to your customer every day. Keep your products current and relevant by creating a pipeline of communication between your customers and your marketing, production and R&D people.